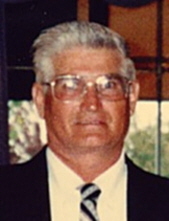 James Robert Schul, age 82, of Gratis, OH passed away Saturday, April 13, 2019 at the Brookhaven Nursing Center in Brookville, OH. Success is often measured in this world by the amount of fame, formal education, or monetary fortune one accumulates in a lifetime. James Robert Schul knew little of any of these. Yet, for those who knew him, he was among the most successful of men. He was a faithful husband, a loving father, and an exemplary neighbor. He had a twinkle in his eye, a zest for life, and an amazing work ethic. He is dearly missed by his family and is now in heaven with Jesus who loves us all. He was preceded in death by his parents Ervin and Emily Schul, as well as his brothers Earschel, Charles, and Leroy, and sister Jaclyn. He is survived by his wife of 62 years, Joy Schul, as well as sons Doug (Judy) Schul, Dan Schul, Jim (Christa) Schul, and daughter Diane Berry. He is also survived by 9 grandchildren, 11 great-grandchildren, and a sister, Nancy (Roger) Fuller, and brother, Johnnie Aaron Schul. Visitation will be held on Tuesday, April 16, 2019 from 11:00 am until time of funeral service at 12:30 pm at the Girton Schmidt & Boucher Gard Funeral Home, 226 West Main Street, Eaton, OH. Burial will follow at Fairview Cemetery in Gratis, OH. Memorial contributions may be sent to Ohio Division of Wildlife, c/o Central Office, 2045 Morse Road Building G-1, Columbus, OH 43229-6693. Online condolences and other remembrances may be sent to the family by visiting www.gsbfuneralhome.com. To send flowers or a remembrance gift to the family of James R. Schul, please visit our Tribute Store. "Email Address" would like to share the life celebration of James R. Schul. Click on the "link" to go to share a favorite memory or leave a condolence message for the family.